It’s been a fun challenge to take maximum advantage of the crop of zucchini this summer. This next dish is also takes advantage of the peppery arugula which comes from my neighbor Beppi’s garden. Zucchini and arugula are a great combination–silky and sweet combined with peppery and tart. 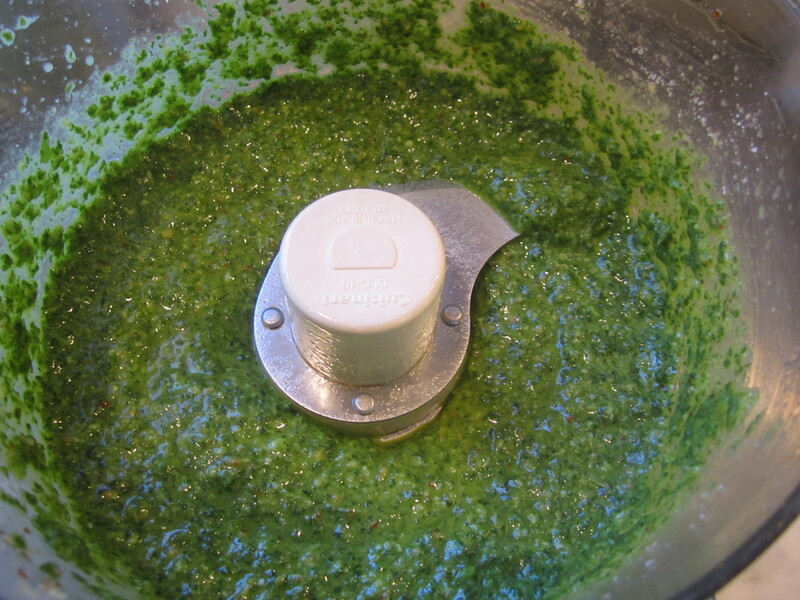 The beauty of this pesto is that it doesn’t discolor like traditional basil pesto. I’ve made prior variations of this sauce before, but tonight’s version is the perfect proportion of ingredients to complement the plain sauteed zucchini. This dish is great for company because the sauce may be prepared hours in advance and held at room temperature. 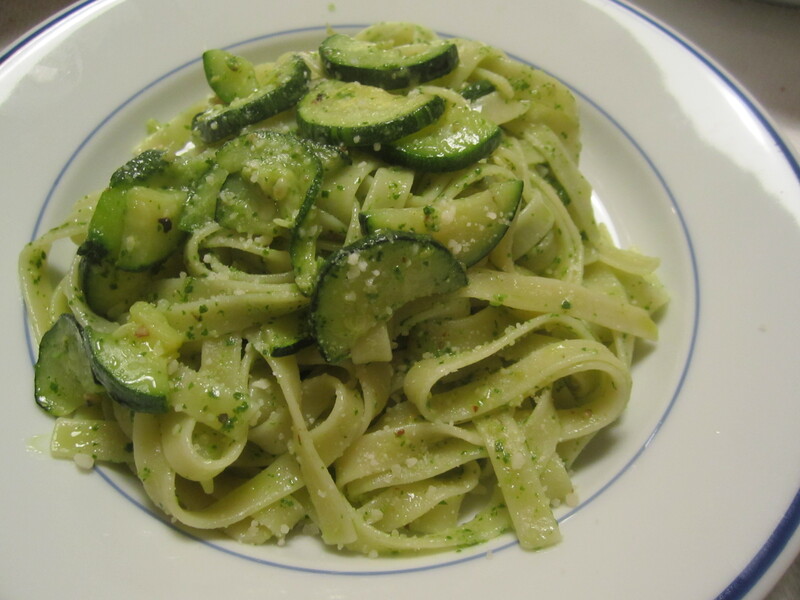 The pasta may then be boiled at the last minute, while the zucchini are sauteed. The pasta I’m using tonight is dried fettucine. Egg pasta may be substituted, but I think that the sturdiness of dried pasta is more appropriate for this sauce. 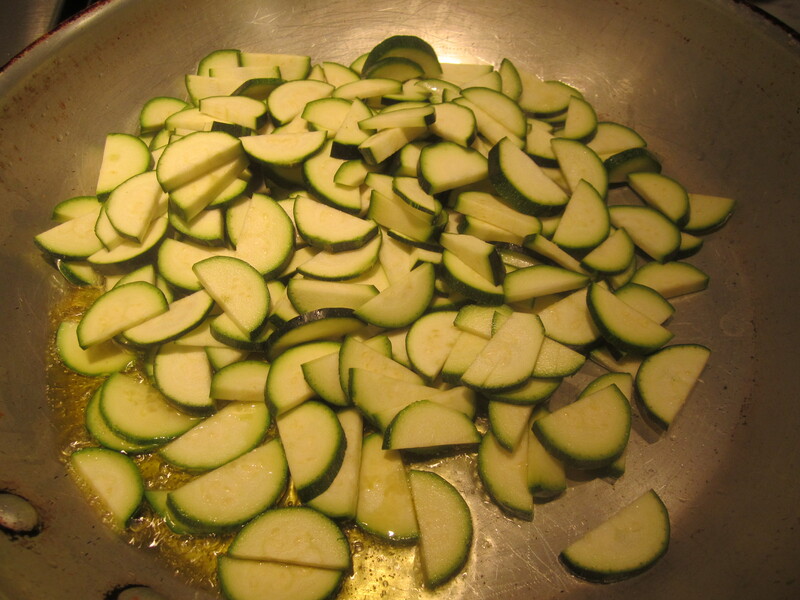 6 medium zucchini (approximately 7″L), cut in half lengthwise, then sliced into half-moon slices approx. 1/4″ thick. Boil pasta in plenty of salted water. 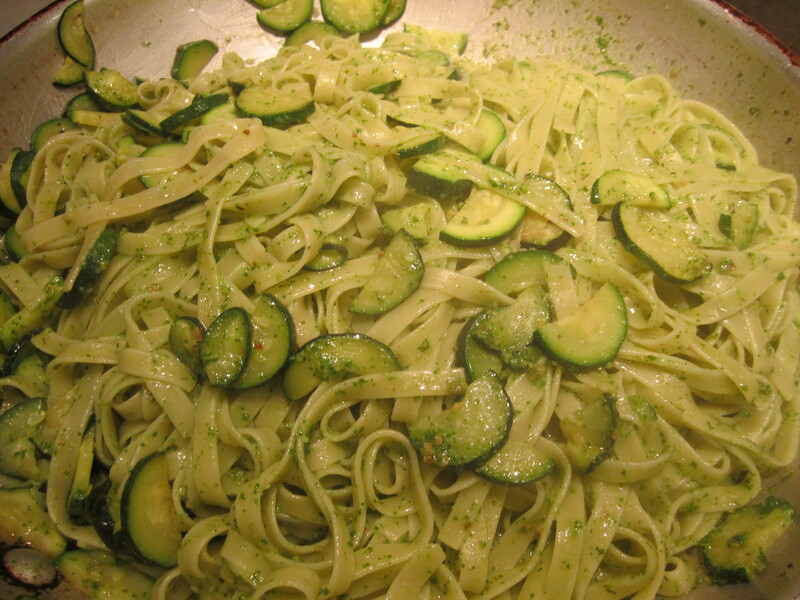 While pasta is boiling, in a broad skillet on highest heat, saute zucchini in oil until just tender (about 6 minutes). When pasta is about 30 seconds shy of done, toss into skillet with zucchini, along with butter, and a half-cup of pasta cooking water. Turn off heat under skillet and mix in pesto. A bit of pasta water may still be added if mixture is too tight–the pasta will absorb the liquid as it sits. Place all ingredients in food processor and pulse until a coarse puree results.